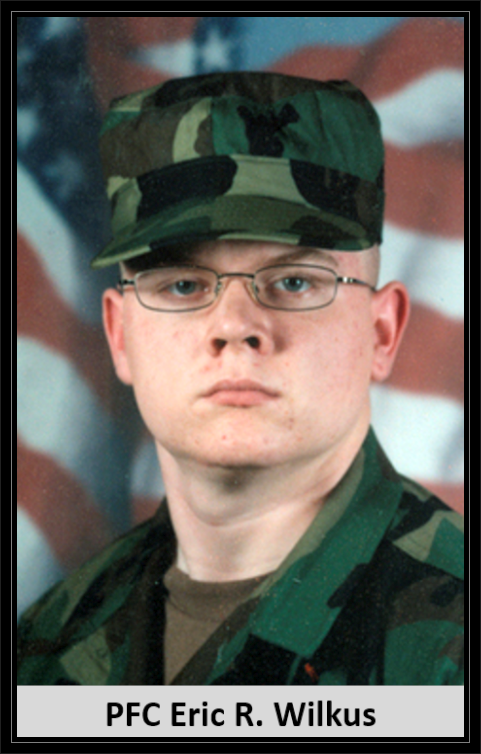 Died: December 25, 2006 in Operation Iraqi Freedom. Unit: Army, 57th Military Police Company, 8th Military Police Brigade, Schofield Barracks, HI. Pfc. Eric R. Wilkus of Hamilton, New Jersey was a volunteer firefighter with the White Horse Fire Co. in Hamilton, where he joined as a junior member at the age of 16. He was excited to follow in the footsteps of his father, who is a firefighter and has belonged to the same fire station for about two decades and his aunt, who is involved in the emergency services, and his grandfather, who was also involved in the fire service. He was 20. A 20-year-old military police officer from Hamilton died Christmas Day from injuries sustained in Iraq, the 66th soldier with New Jersey ties to lose his life in the conflict. 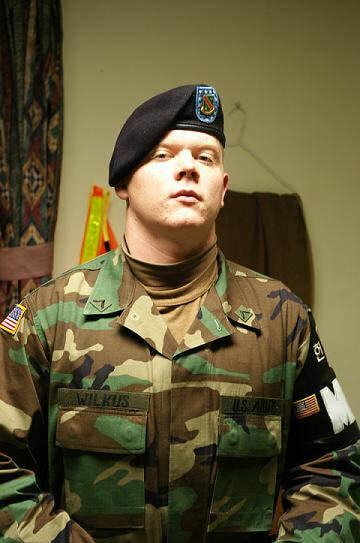 Wilkus was assigned to the 57th Military Police Company, 8th Military Police Brigade, and had been stationed in South Korea until June, when his unit was redeployed to Iraq. At home in Hamilton, he was a volunteer firefighter with White Horse Fire Company, the company his father, Walter, has belonged to for about two decades. White Horse Fire Chief Richard Soltis Jr. remembered Eric Wilkus as a hard worker who joined the fire company as a junior member at age 16. "He was excited to follow in the footsteps of his father, who is a firefighter, and his aunt, who is involved in the emergency services, and his grandfather, who was also involved in the fire service," Soltis said. Wilkus was certified as a rookie firefighter and emergency medical technician after completing a yearlong program for high school seniors run by the Mercer County Technical School and Mercer County Community College in cooperation with the fire academy, Soltis said. He said he hadn't seen Wilkus in several months but was often kept up to date by Wilkus' father, who was able to keep in touch with Wilkus through the Internet and occasional phone calls. "He was a great kid from a nice family," said David S. McWilliam, principal of Hamilton West High School, from which Wilkus graduated in 2004. "He always wanted to go into police work or fire work."